Can you believe it is already August??? This was my last full week of summer so I took the week off from blogging. Monday is the first day I am able to get into my classroom. I am excited, but I will miss my summer days with my crazy sweet, little girls. 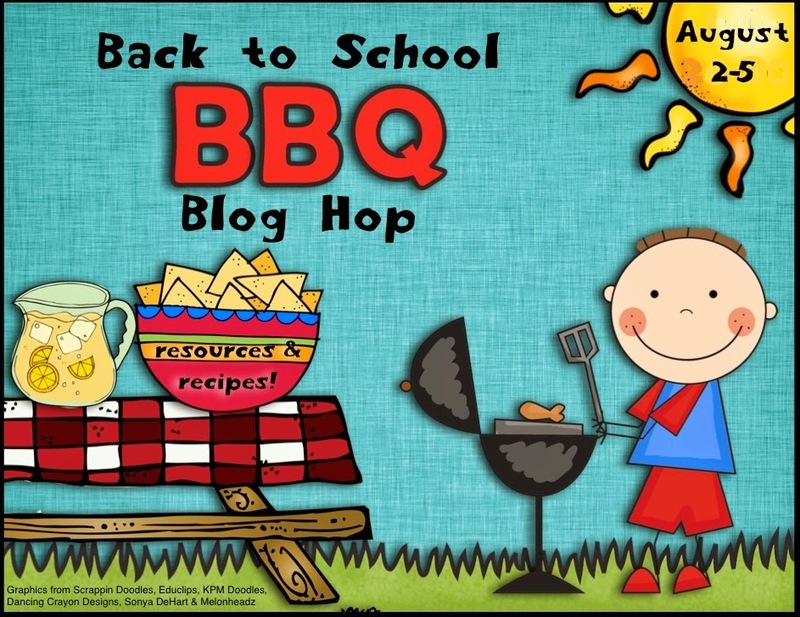 I am so excited to be joining a wonderful group of bloggers this weekend for a Back to School Blog Hop. We will all be sharing some kid friendly recipes. 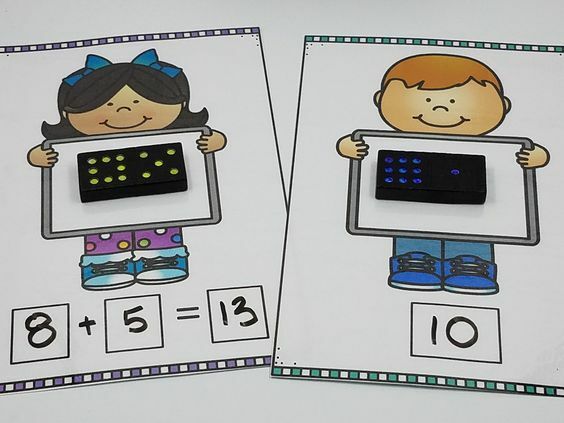 If you stay with me until the bottom, you will get a FREEBIE that is perfect for Back to School and a chance to WIN my Beginning Sounds Mega Pack that is perfect for Guided Reading and Centers. 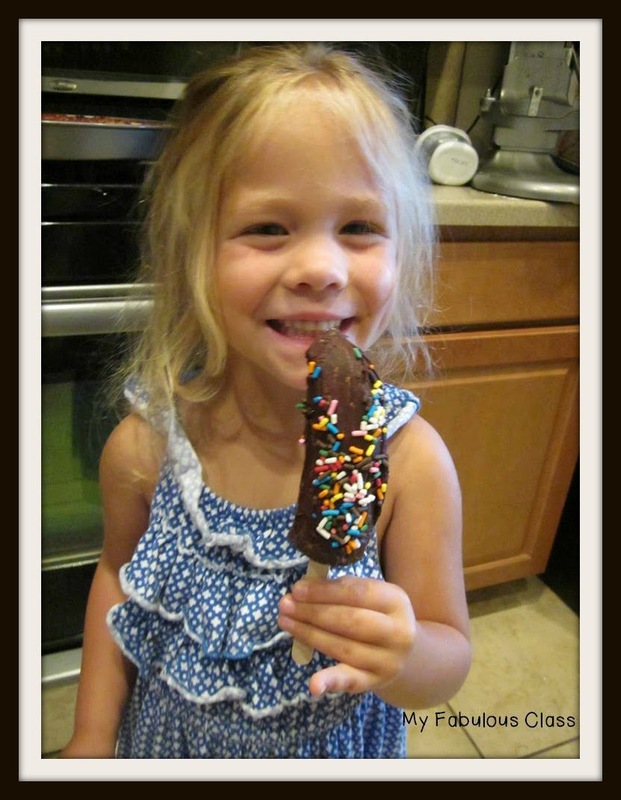 I made Frozen Chocolate Covered Bananas with my girls. Perfect for a hot day. They are simple to make and the girls LOVED them. First, we cut the bananas in half and placed a wooden stick in each half. Then we placed them on a cookie sheet covered with parchment paper and placed them in the freezer for an hour.When the hour was about up, we put our toppings in a bowl and then we started on the chocolate. We placed it in a microwave safe bowl and melted it for 30 seconds. Then we stirred and repeated for 15 seconds. We repeated until the chocolate was smooth. Once the chocolate is ready, you can take the bananas out of the freezer. Place one banana in the chocolate. I used a frosting knife to make sure the entire banana had chocolate. 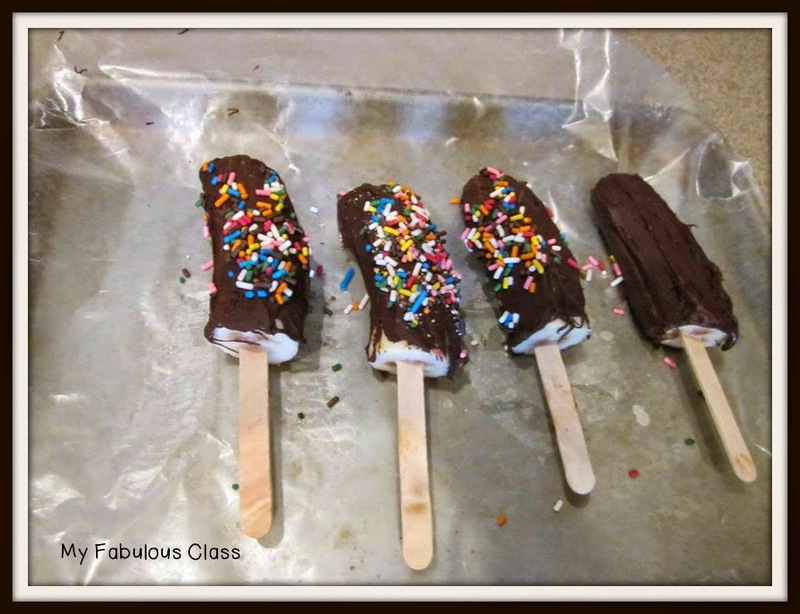 Then you sprinkle the chocolate covered banana with sprinkles. You have to move FAST to make sure you get the sprinkles on before the chocolate hardens. Continue until all the bananas are done and you will have a yummy semi-healthy treat! I'm not a fan of sprinkles so mine is the one without sprinkles. 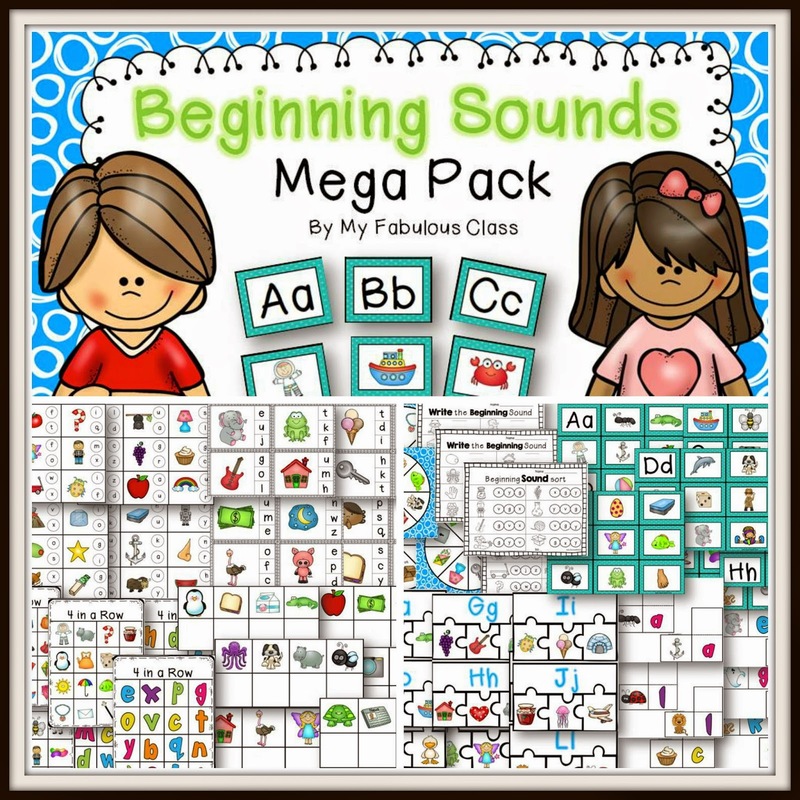 Have you seen my Beginning Sounds Mega Pack???? It is perfect for Back to School. 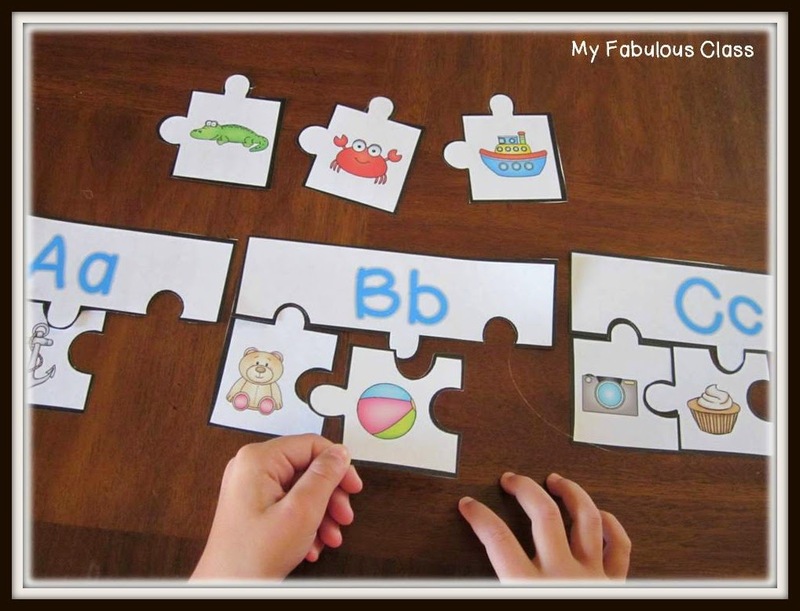 This MEGA pack has 9 Beginning Sound Activities that are perfect for Centers or Guided Reading. Would you like a chance to WIN my Beginning Sounds Mega Pack???? I am doing a QUICK pin-it to win-it. Just pin any image above from my Beginning Sounds Mega Pack (Sorry, the bananas don't count!). Leave a comment below with a link to your pin and your email. I will pick a winner SUNDAY night. Didn't I PROMISE you a FREEBIE???? 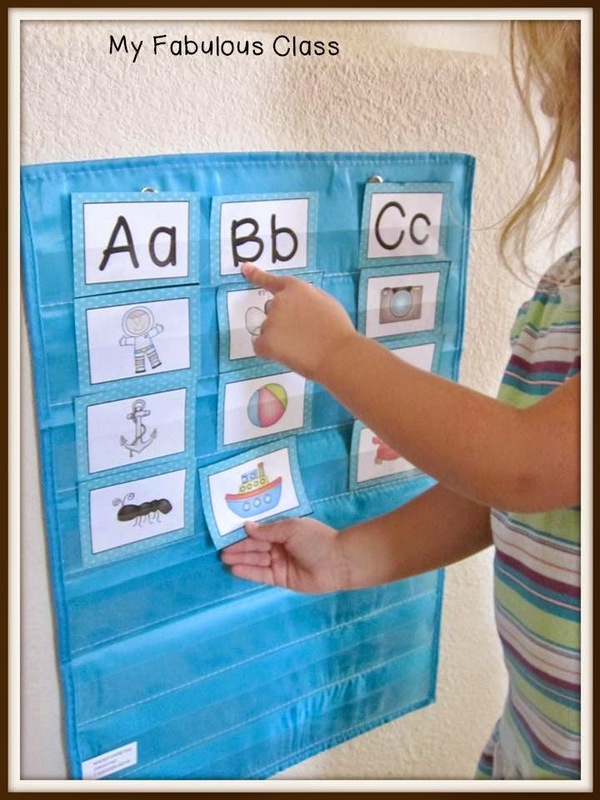 Check out this Beginning Sound Freebie. I would love to hear what you think about it so please leave me some feedback. Knowing how much you appreciate my activities puts a HUGE smile on my face. 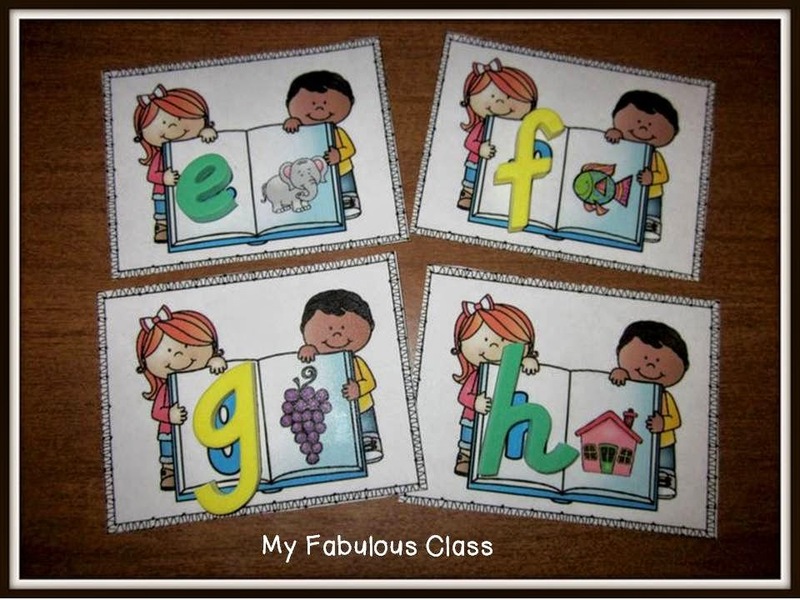 You can find more of my Back to School activities here. 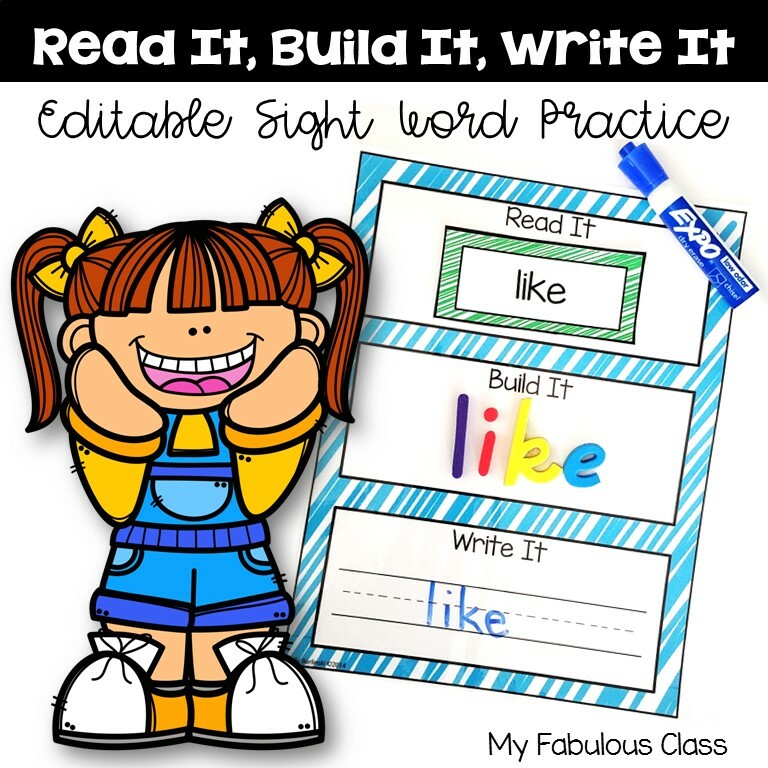 Be sure to like me on Facebook for more ideas and freebies. Now it is time to keep on hoppin' for more recipes and Back to School ideas. Check out what is happening at Teaching Monster. 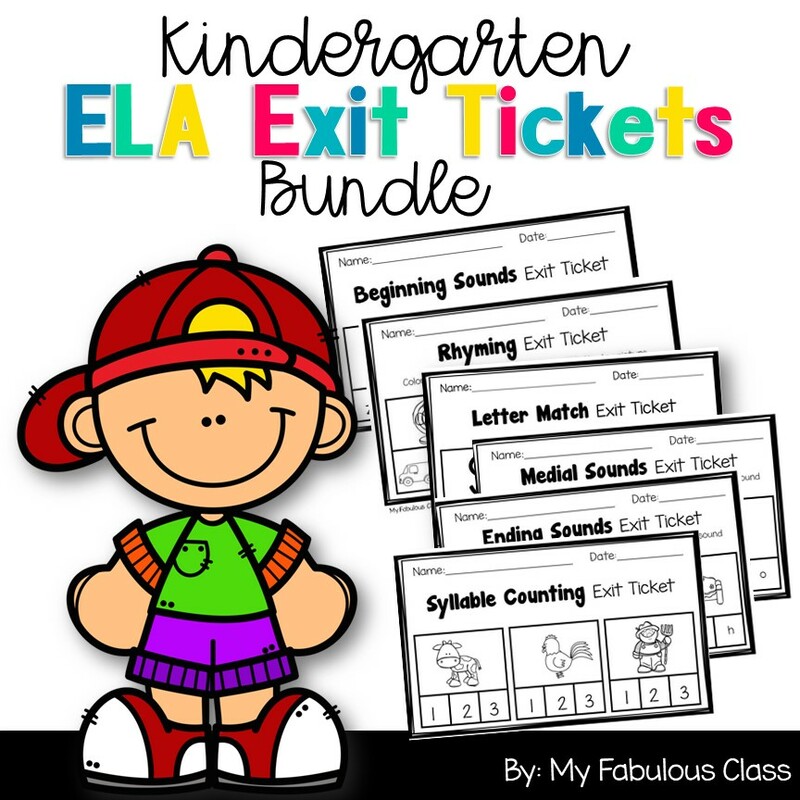 This is fantastic and would be great for my Kinder kiddos! And thank you so much for the freebie! Getting ready to print it now! My stomach is growling as I go through this hop! :) Adorable picture of your daughter! Here is my pin! 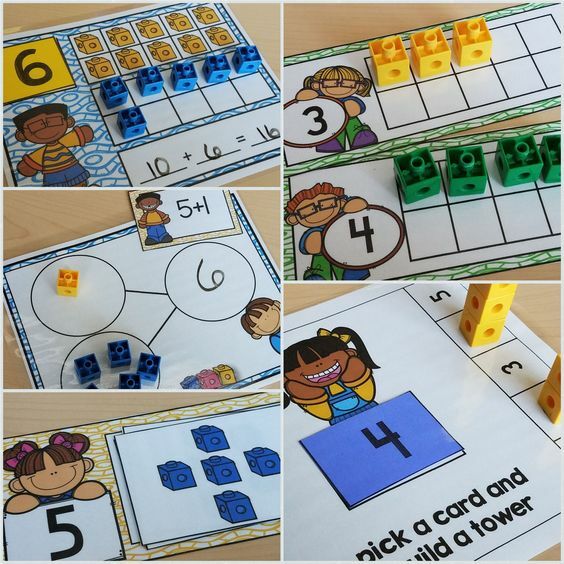 http://www.pinterest.com/pin/150166968800851950/ This looks like a really fun packet that would even work for beginning of the year 1st grade and RTI. The freebie is adorable! Thanks for sharing! I love the clipart. Where did you get the letters? Are they foam? 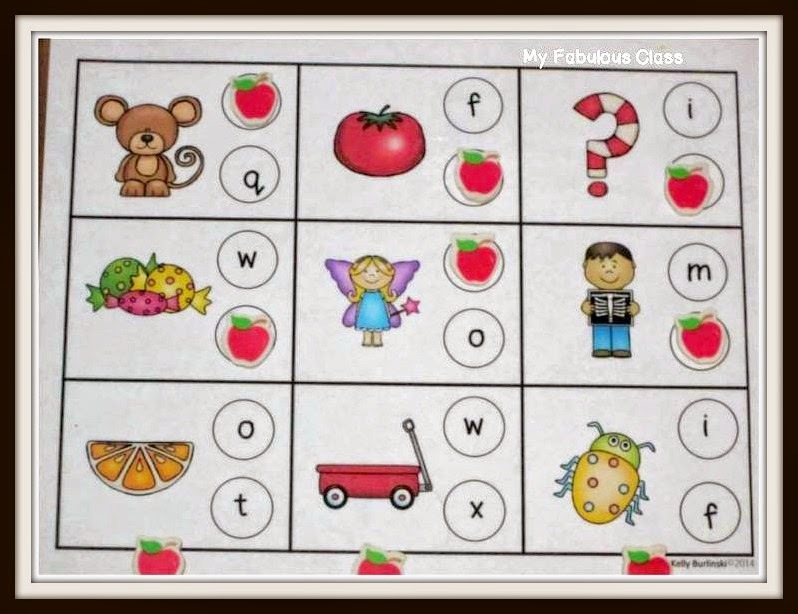 This center would be absolutely wonderful to use with my first graders, especially those who still struggle with recognizing all of their letter sounds. Thank you so much for sharing! This looks like an amazing bundle. http://www.pinterest.com/pin/210895195026038229/. I love this awesome bundle!! !